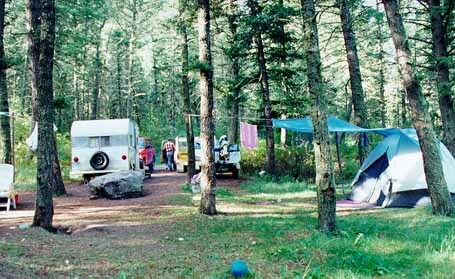 Vigilante Campground is located in Helena National Forest in central Montana. At an elevation of 4,500 feet, the campground encompasses 7 acres. The campsites are in a timbered area on Trout Creek. Hiking may be enjoyed on a marked trail nearby. Handicap accessible restrooms and water are available, and pets are welcome if on a leash. This is a pack it in, pack it out campsite. The maximum recommended trailer length for the area is 20 feet. Please limit your stay to 14 days. Small fee required. Travel 20 miles northeast of Helena on Route 280, then 12 miles northeast on Forest Service Road 4137.